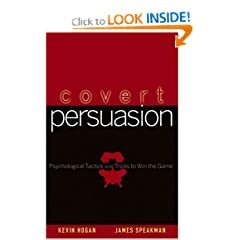 More practical information on the dynamics of selling and communication in these pages than you could ever acquire in a lifetime on your own through trial and error. 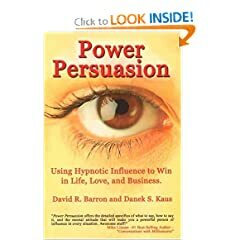 Focusing on the subtle, almost invisible processes of effective manipulation, The Power of Persuasion exposes the many tricks of the trade. 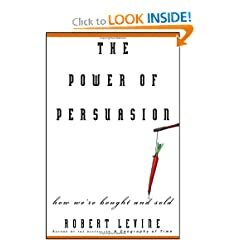 This powerful guide will show you how to become a more influential person through example and by practicing the most effective techniques of persuasion. Yes! 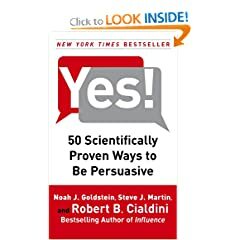 shows how making small, scientifically proven changes to your approach can have a dramatic effect on your persuasive powers. Dr. Fisher dispels myths and describes how readers can create their own 90-second exercise to talk to their bodies and minds to alleviate problems such as insomnia, smoking, overeating, memory loss, pain, skin allergies, fear of flying, and performance anxiety.